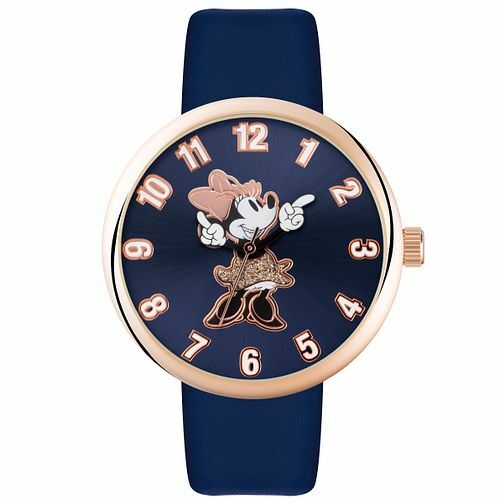 Featuring a deep navy blue leather strap, this cute Disney watch is styled with a rich rose gold-plated stainless steel case and finished with a Minnie Mouse motif on its navy dial. Disney Minnie Mouse Navy Strap Watch is rated 5.0 out of 5 by 2. Rated 5 out of 5 by Anonymous from Lovely watch Big face. It’s a Christmas present. I am sure she will love it.